“They shot me.” Weeks later, Mark Runge still sounds stunned. 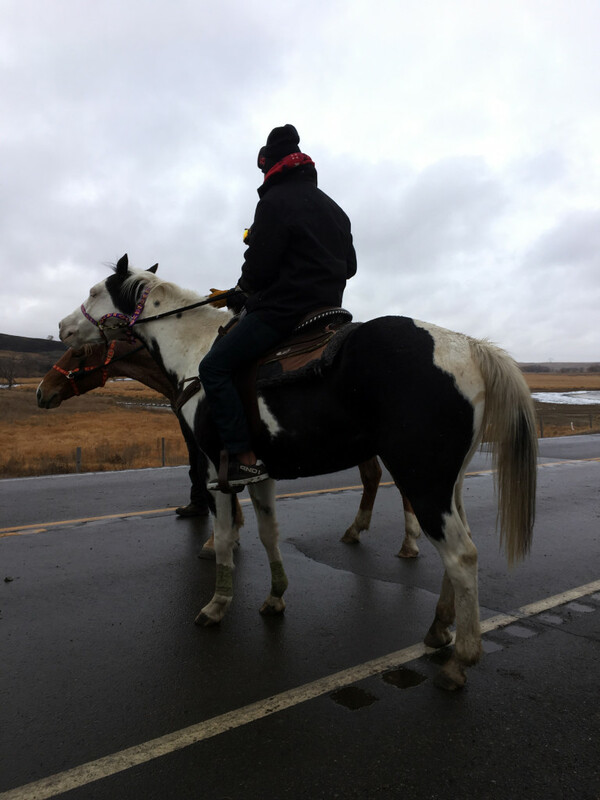 On Sunday, November 20, after a 22-hour drive from Maryville, Tenn., high school teacher Runge reached Standing Rock, North Dakota. 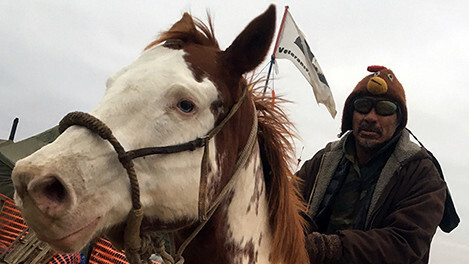 There the Oceti Sakowin, or Sioux tribes, were joined by thousands of supporters to stop construction of the Dakota Access oil pipeline, which they say threatens sacred land and the local water supply. They call themselves water protectors. Mark Runge in his classroom at the Clayton-Bradley Academy. Photo by Cindy Moffett. Runge, a Desert Shield/Desert Storm war veteran, and a long-time member of Veterans for Peace, says, “I have a history of fighting for justice for victims and veterans of war. That’s how I see these guys – as victims of war. 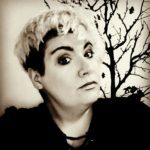 How can I help the bigger community? How can I right injustice?” He went prepared to help in any way needed; he took tools to help build a camp, warm clothing to donate, and cases of fruit to distribute. 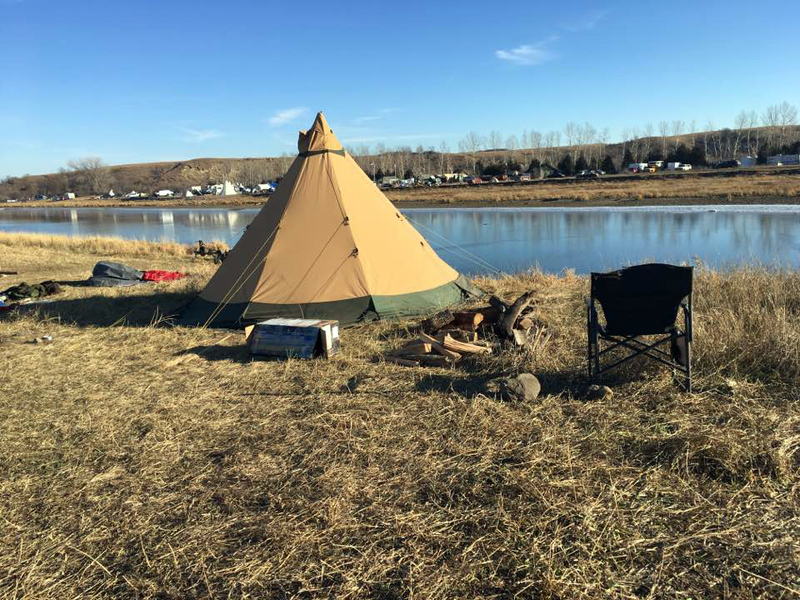 Runge’s tent at Standing Rock. 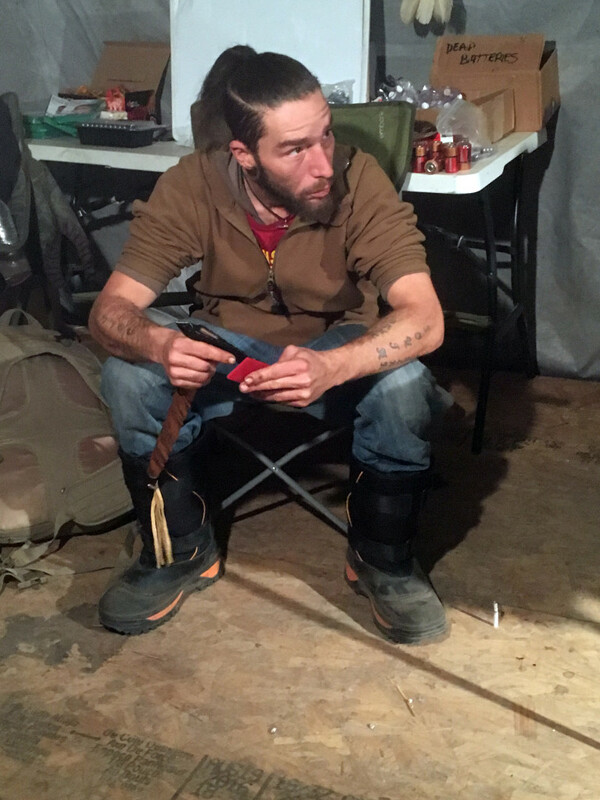 On his first day, he fell in with fellow veterans, set up his tent, trained in cultural differences, and prepared for an evening protest on Backwater Bridge, where two burned out large trucks blocked access to the pipeline – and, more importantly to the camp, the road to the nearby city of Bismark. A scout on Backwater Bridge. 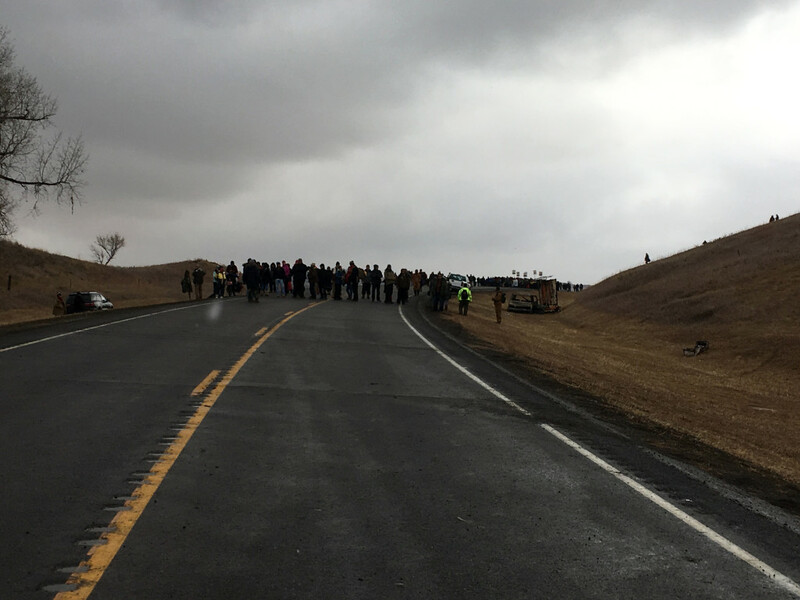 Tension had been mounting between the water protectors and the law enforcement agencies. Before sundown, eight veterans had used a semi truck to haul one of the large trucks out of the road. “The whole time, of course, the police thought this was an act of aggression, clearing the road,” says Runge. During Thanksgiving week, winter was settling in. That night, in frigid weather, hundreds of water protectors, young and old, women and children, gathered along and beside the bridge. Some had shields but most, like Runge, were unprotected. “You could feel the energy, you could tell something was coming. But there was no warning from the police, nothing. They just unleashed hell. “It started off with chemical mace. Then they were launching concussion grenades right at people. I was off to the left of the bridge, and I hoped that if they saw I wasn’t doing anything, I wouldn’t be a target. 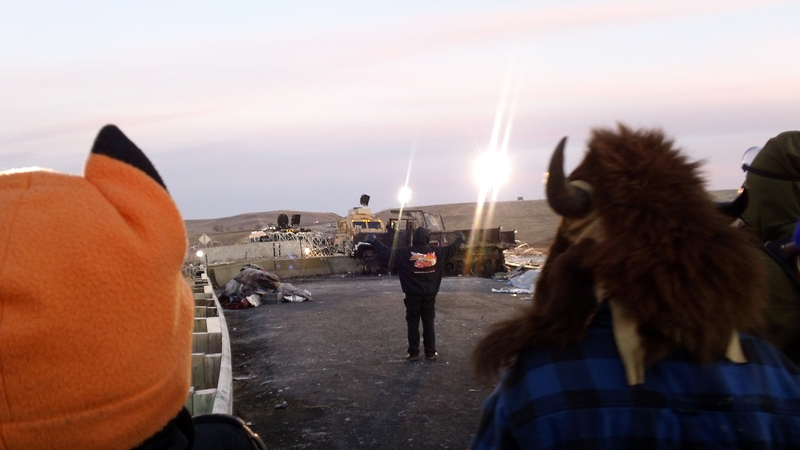 Some of our people with shields were moving forward. I saw a grenade land between two guys, and they both went down. 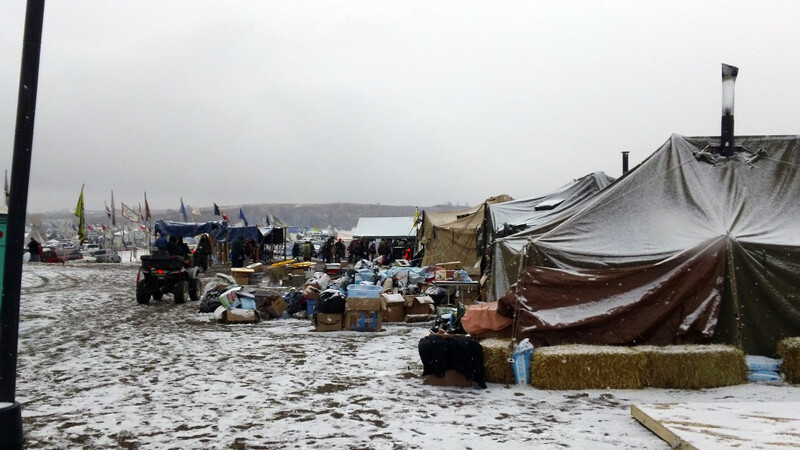 The Oceti Sakowin medical team reported that 200 people were injured, and 12 people were hospitalized for head injuries. “One of the Indian elders had a heart attack and had to be revived right on the bridge,” says Runge. 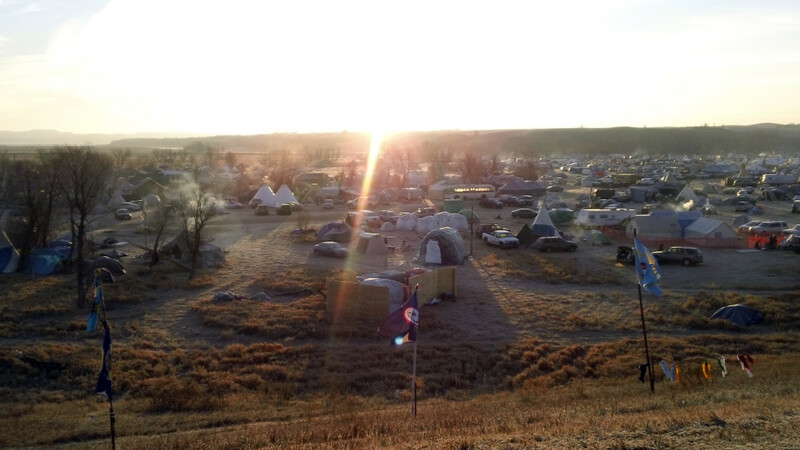 After a violent night, one of the Native Americans greets the sun with a song of prayer. 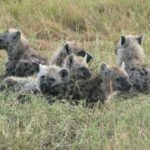 The next day, though, he was back in the camp, coordinating activities, making shields, and answering questions for the camp members. 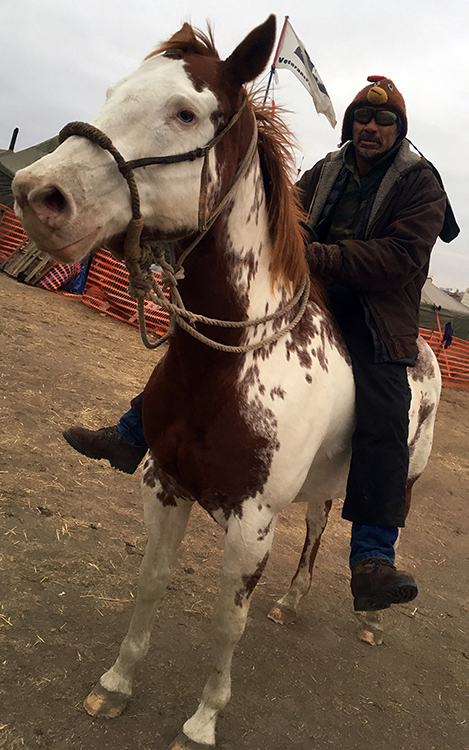 For the rest of the week he continued helping in any way he could while learning a great deal about Native American culture. Campsites at Standing Rock. “Here with the many flags flying,” says Runge, “I always felt resolute in what I was doing, even if I just wrapped in the shadow of all these flags that have come together to fight the ‘black snake’ [the pipeline]. “Red Stick was one of the lead security guys. 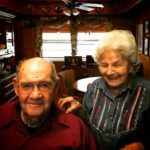 I learned so much from him about the ways of the culture,” says Runge. “Two days after the bridge event,” says Runge, “a medicine man and Iraq war veteran called the vets together. Only about 15 of us showed up. He was really upset and explained that we could have done a better job of protecting civilians on the bridge that night. In his own culture, he said, women and children wouldn’t have been involved. “He said we have an obligation as warriors. 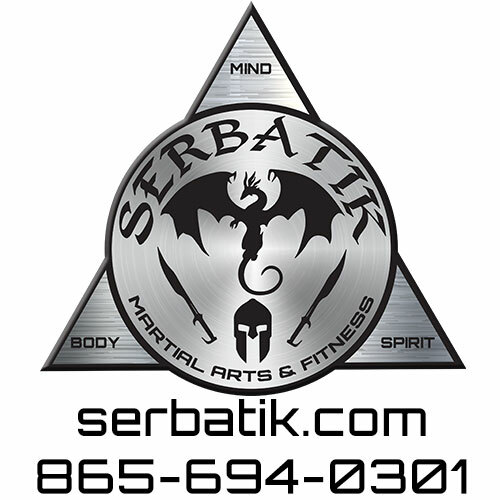 ‘Akicita’ means veteran or warrior – there’s no difference. They hold veterans in high esteem, which was really magical and beautiful. 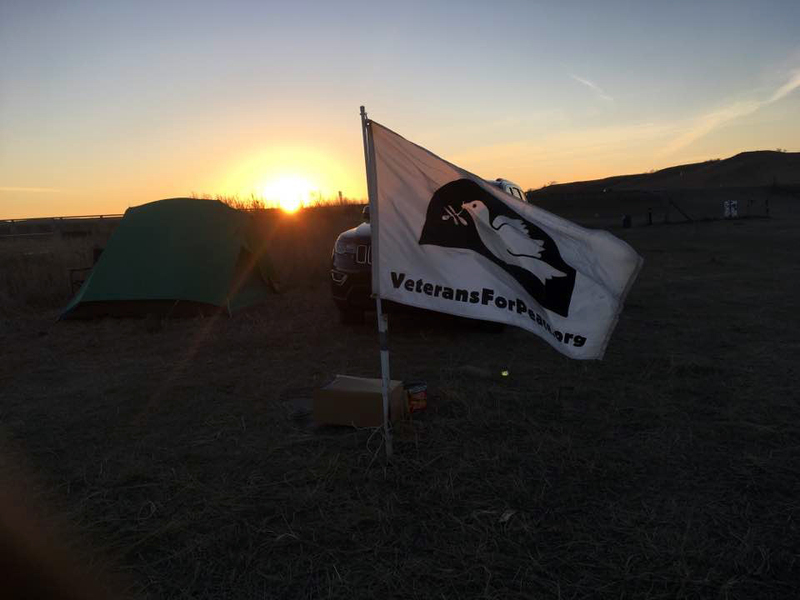 Veterans and water protectors formed lines to protect civilians. Fortunately, such violence did not recur, but the warriors were careful to protect the others. “On Thanksgiving we did go back to the bridge. There was a front line of vets – I was in it – and then a second line of vets — and we kept the rest of the people back. It was hard because some had seen the footage from Sunday night and were very confrontational. “Hundreds of people were behind us, marching down, coming around the bend. Somebody said, ‘Let’s make a prayer circle.’ And they did; the circle went all the way up into the hill and around. It was beautiful. One of the Indian veterans started singing.” Again, the memory of singing in prayer moves Runge to tears. 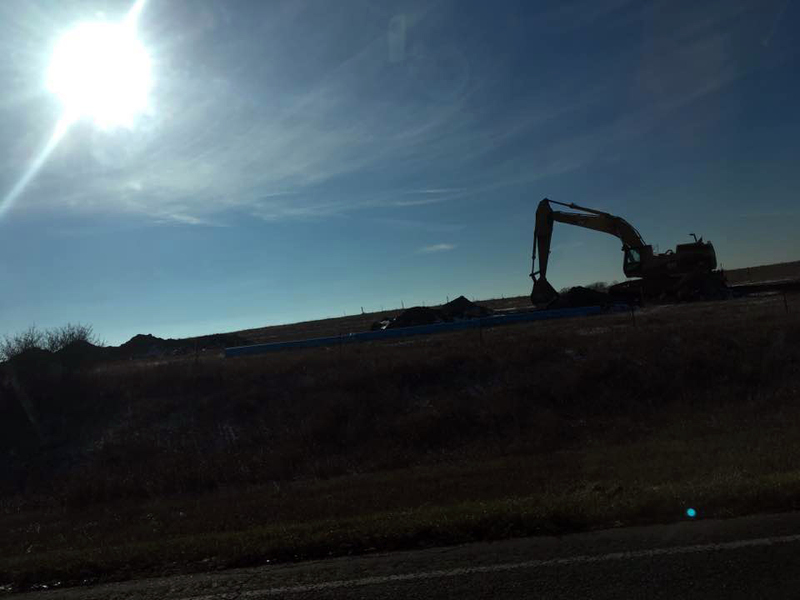 During Thanksgiving week, the pipeline moved forward. Turtle Island is sacred ground to the Indians, but was defended as a strategic site by law enforcement. The water protectors built bridges and crossed over to Turtle Island. By joining the protest at Standing Rock, Runge hoped to stop the pipeline and to protect the earth for our children. 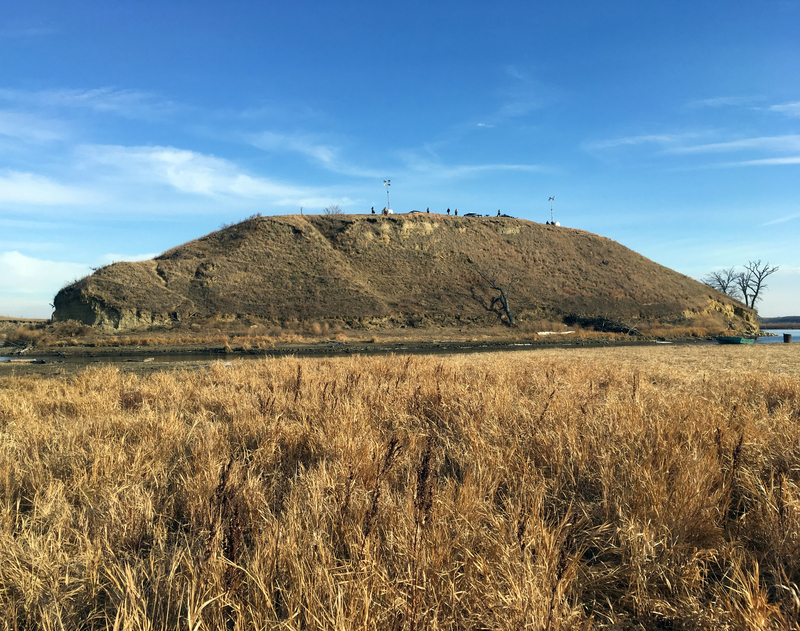 On Dec. 4, a week after he returned to Tennessee, the Department of the Army, which includes the Army Corps of Engineers, announced that they would not approve and easement allowing the pipeline to cross under Lake Oahe. “The best way to complete that work responsibly and expeditiously is to explore alternate routes for the pipeline crossing,” said Jo-Ellen Darcy, the Army’s assistant secretary for civil works. Does this mean the pipeline is stopped forever? Not necessarily, but it’s certainly on hold, and hopes are high that better solutions will be found. “We have to take our victories where we can,” says Runge. Flags were all over the camp, including this one for Veterans for Peace. 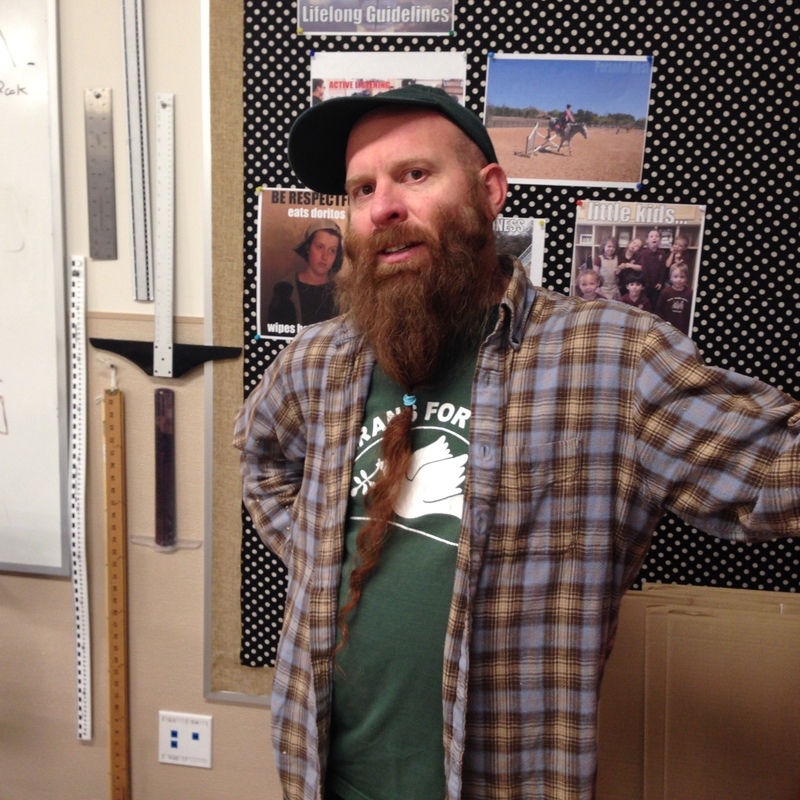 Runge is a man of many talents: fine arts, technology, and engineering teacher (nicknamed Overlord of the STEAM Labs) at Clayton-Bradley Academy; martial arts practitioner (thus his nick name “Kungfucracker”), dulcimer maker, and artist. See his video of “Standing Rock: My Night 1” on YouTube. All photos provided by Mark Runge, except where noted. Please do not duplicate photos without permission.